1898 Andrew Marshall Downie, Gent., was gazetted a Second Lieutenant in the 1st Volunteer Battalion, HLI on 25 May. 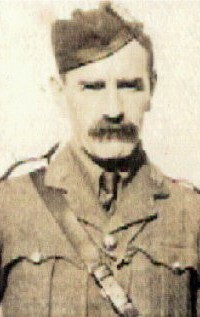 1908 Captain Downie, with other officers of the battalion, was transferred from the 1st Volunteer Battalion, HLI to the 5th (City of Glasgow) Battalion, HLI on 1 April. 1915 Downie sailed for Gallipoli in May 1915 as officer commanding ‘A’ Company, 1st/5th HLI. The battalion landed at Cape Hellas (V beach) on the night of 2/3 July. On the afternoon of 12 July an attack was made on the Turkish trenches by 157th Brigade with 1/5th HLI in reserve. 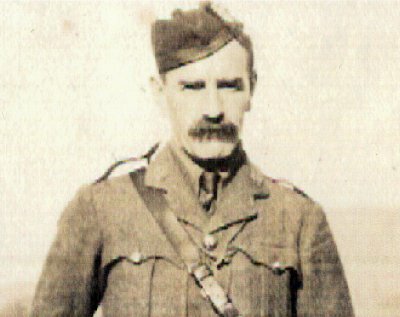 ‘A’ Company was sent forward to support the 6th HLI and soon after 6pm that day Downie led Nos 3 and 4 platoons forward to take a Turkish trench. He was almost immediately severely wounded by a bullet in the head. He was evacuated to Alexandria on the hospital ship Reva and landed on the 19 July. Son of James Downie, of Glasgow; husband of Jane Margaret Begg Downie, of Netherby, Bridge-of-Allan, Stirlingshire. Downie enrolled at the University of Glasgow in 1896 to study Engineering, during which time he was awarded 1st prize in the Engineering Laboratory class in session 1896-97. He graduated in Engineering on 18 April 1899 and went on to become a civil engineer. He later gained a diploma from the Technical College in Mechanical Engineering. 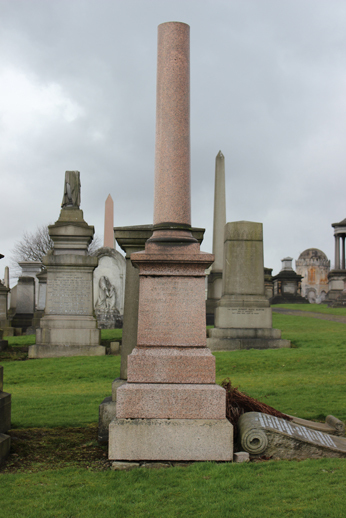 He was elected an Associate Member of the Institution of Civil Engineers on the 23rd April, 1901. Managing Director of Duncan Stewart and Company, Engineers, of Glasgow and a Director of RM Downie and Company, Shippers of Manchester. The Fifth Battalion Highland Light Infantry in the War 1914-1918, by Officers of the Battalion. 1921.